Subscribe today to follow the BlueClaws on MiLB.TV! 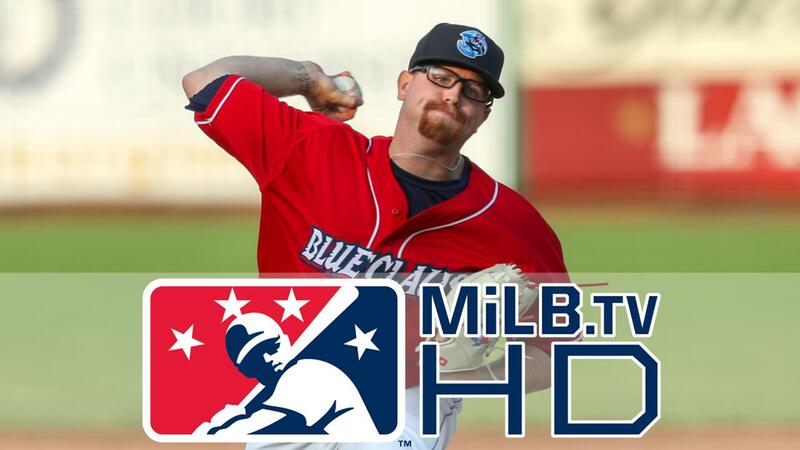 LAKEWOOD, NJ - The BlueClaws are back on MiLB.TV this year with BlueClaws home games now broadcast in HD! Fans can watch on the go with the MiLB First Pitch app for iPad®/iPhone®/iPod touch® and select Android devices as well as on their computers. Subscribe today by going to MILB.TV. An annual subscription is just $49.99 and you can save $10 by using the promo code "blueclaws" at checkout! Subscribers will receive access to not just all 70 BlueClaws home games but over 6,500 games across the network, including former BlueClaws players with Double-A Reading and Triple-A Lehigh Valley. Other South Atlantic League clubs to stream their games include Rome (Braves), Charleston (Yankees), and Columbia (Mets), so fans can watch the BlueClaws play those opponents on the road. The MiLB.TV feed will utilize the BlueClaws radio broadcast feed as well as a scorebug graphic to provide the best possible streaming experience for fans. The BlueClaws are the Jersey Shore's top stop for affordable, family entertainment. Tickets for all 2019 BlueClaws home games are available by calling 732-901-7000 option 2 or online by clicking here.